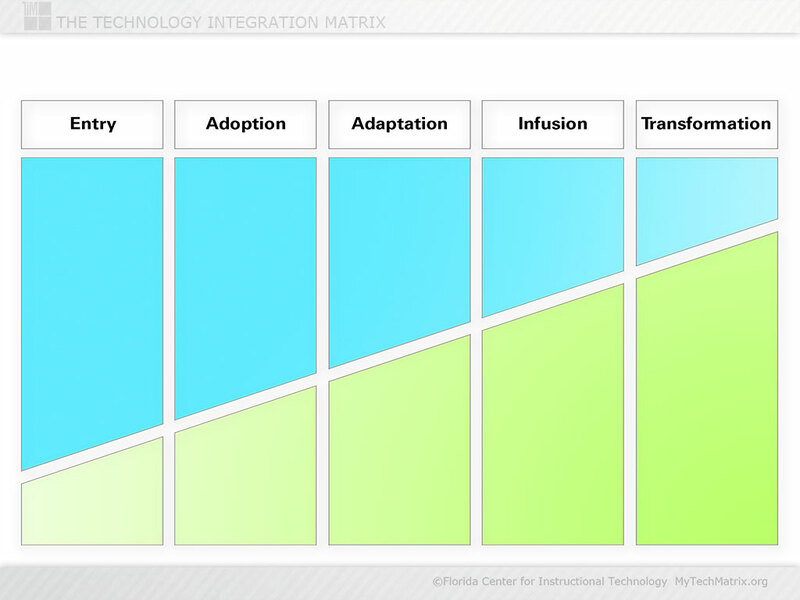 This is a blank template for creating your own graphic illustrating an expected shift in emphasis from lower to higher levels of technology integration. Elsewhere in this collection of instructional resources, you’ll find examples of how this slide can be used, including a shift in instructional focus, a shift in the use of technology tools, a shift in student understandings, and a shift in ownership of learning. 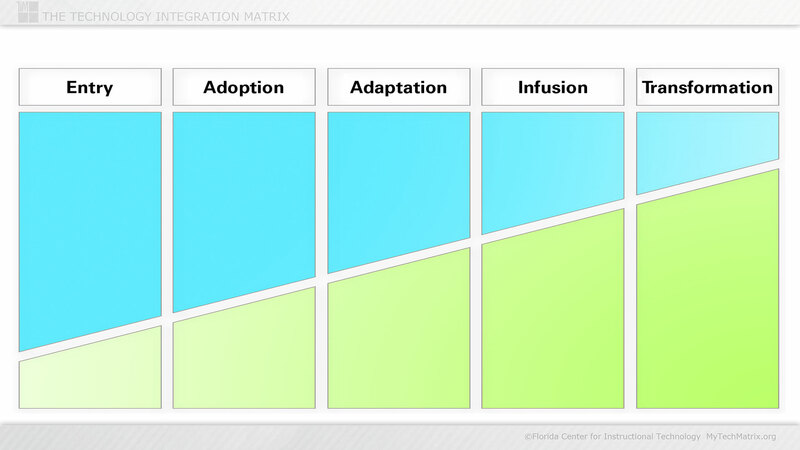 There is also a version of this slide with two text boxes that match the slides noted above.